In what ways can we provide support in our community? How can we promote healthy choices? ​This page is dedicated to what we do as well as a great place for cool resources! For more information on the contents of Ms. Cherven's talk, please see News and Notes (or click on the word GRIEF). For more information and to learn more about grieving, press the button. 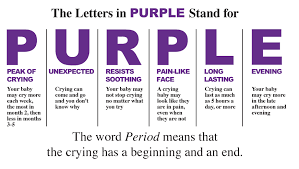 The goal of this organization is to tell two people about the "period of PURPLE baby crying" and shaken baby syndrome and to raise awareness about this issue through education. So we all know someone who likes to knit or crochet. 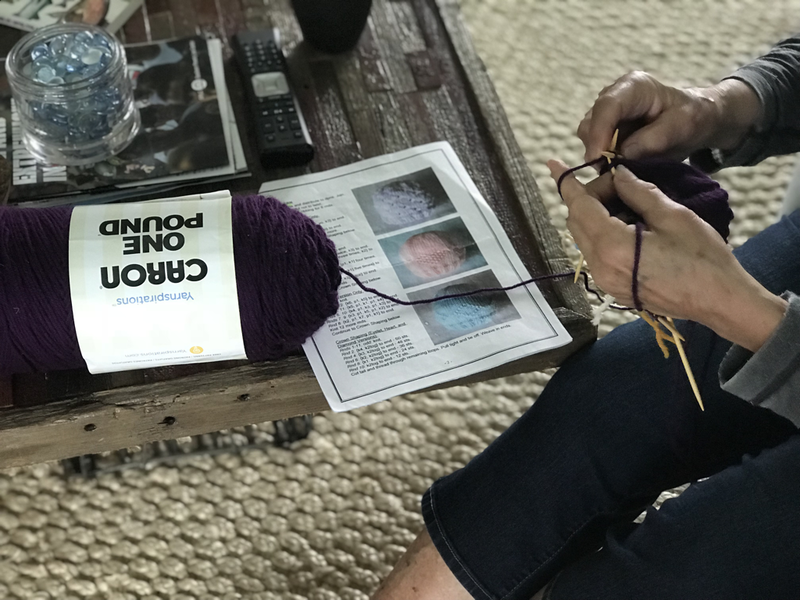 Buy them a skein of purple yarn, give them a pattern, and watch them go. We have patterns available for both knitting and crocheting or you can find them on the Click for Babies website. 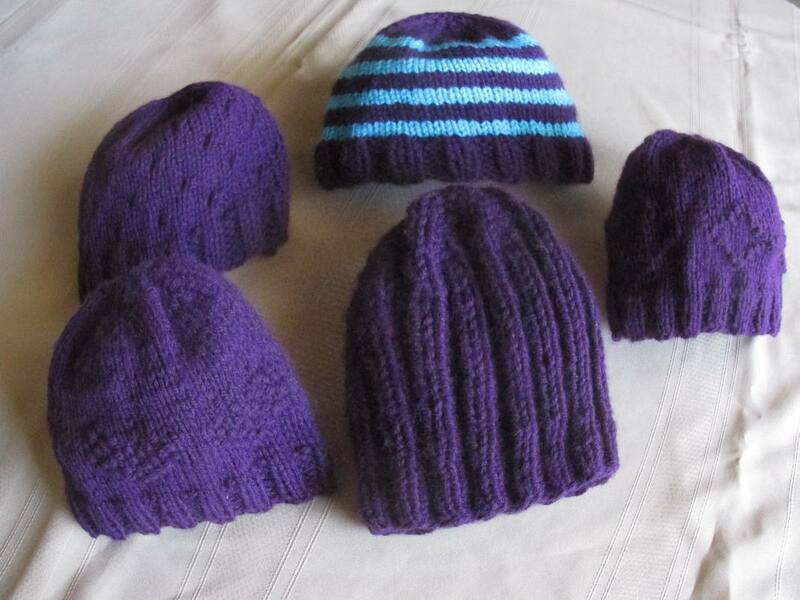 When you complete a hat, let us know and we will distribute them to a hospital. Email us and add your phone number to help in this effort. Did You Miss April Neighborday? Or September 28? No worries. Make this a "holiday" every day of the year. Managing money is a life long learning curve. For some people it's a natural ability and for others not so much. 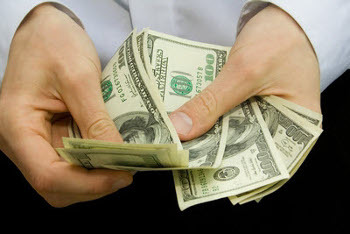 Smart About Money (SAM) is an organization dedicated to helping people learn strategies that make life easier. Start with taking the LifeValues Quiz. Then explore topics to see what it is you would like to learn. There are courses to take everywhere from how and why to create an emergency plan, how to prepare for retirement, housing plans, etc. Regardless of your age or stage in life, this website has something for you. Definitely share with someone you love. Yes. This is a woman's disease. Read this article found in the "Club Woman" magazine published by GFWC for ways to take care of yourself. 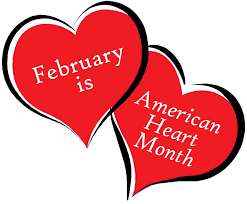 Wear your red this month to show the world you are thinking about the slent killer. Don't ignore these signs and think it can't happen to you. 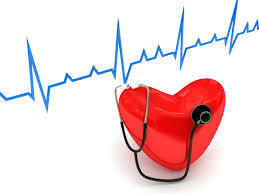 Then change your lifestyle to eat nutritious food, exercise, and lessen stress. It starts in the gut. However you celebrate, the holiday season provides an opportunity express gratitude for what we have and to spend time with the ones we love. But for years, retailers have been trying to write a new story for the holidays, one that puts presents before presence. Instead of expressing our love by doing stuff with our families, corporations want us to keep buying Stuff for them. But this consumer frenzy has serious consequences for the planet, and is turning the holidays into a time of stress and anxiety. This free website operated by The Story of Stuff Project can help you cancel unwanted catalogs and other junk mail. Sign up and get started now! Check out hundreds more ideas for a simpler holiday season on our "Un-Stuff Your Holiday" Pinterest board. Or, read 15 commercial-free holiday tips for families from our friends at New Dream. Finally, be sure to join the conversation on Facebook, Twitter, and Instagram, where you can tell us how you #BuyLessLiveMore this holiday season. Participate in Buy Nothing Day on November 24. 1. Take the pledge to avoid crowded malls on the busiest shopping day of the year, and invite your friends to do the same! 2. Start a conversation about Stuff. Talk with your friends and family about where our Stuff comes from and where it goes – and the impacts on people and the planet along the way. Sharing The Story About Stuff movie on social media is a great icebreaker! 3. Give a non-material gift like event tickets, membership to a local museum, or a charitable organization in someone's name. 4. Gift something home-made or second-hand like baked goods, upcycled art, or quality used items. 5. Volunteer with a local charity or community organization – and bring your friends along, too. 6. Make a plan to relax. Holiday obligations and activities can leave us with little time to truly recharge. Set aside some time to get out into nature or to simply curl up with a good book. ​6. Give the gift of an empty mailbox with Catalog Choice. The founders of New Beginnings came to the MWC fall October banquet to share information about this group. It was created on the premise that ALL women, regardless of income and circumstances, may need some extra help and mentoring in a crisis. This group is unlike any other in Grundy County as it is not specific to any one target group of women but has services available for ALL women ages 18-90+. 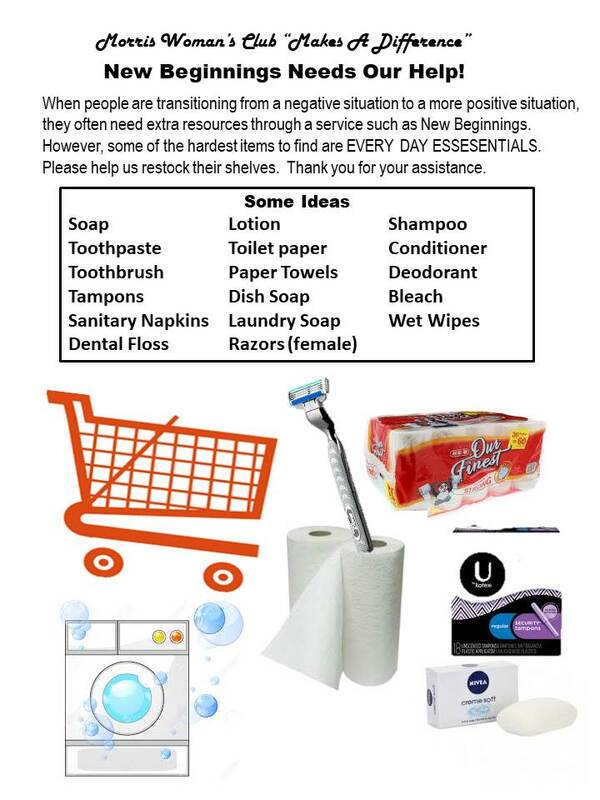 MWC will be supporting New Beginnings this year by advertising their services and by collecting Everyday Essentials for the group. Our "Make A Difference Day" project this year is scheduled for Saturday, November 4 at Jewel to collect from the public every day essentials to help restock the shelves of this group. Attached are brochures from New Beginnings as well as what MWC will be collecting this fall. Read the story below. 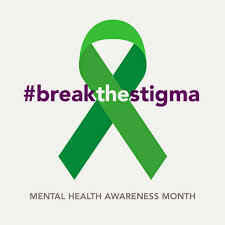 Mental health problems are real, and they can happen to anyone! Show your support by advocating for appropriate mental health programs in your community. Weighted Comfort is a nonprofit from Mazon that sews weighted blankets for kids with Autism. The blankets provide a deep sensory nerve action that assists people having autism or other sensory perception problems with a relief from their surface nerve stimulation. 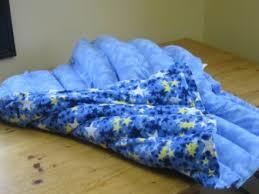 These blankets are given away for free to any child that requests them. In order to achieve this monumental task, groups donate or help sew the blankets. The MWC has had two volunteer sew dates so far. One in February, March and April. Come help out--the task is simple--just straight lines. Or even just iron seams. For more information, please contact Michelle Mitchell at 815-341-8640. 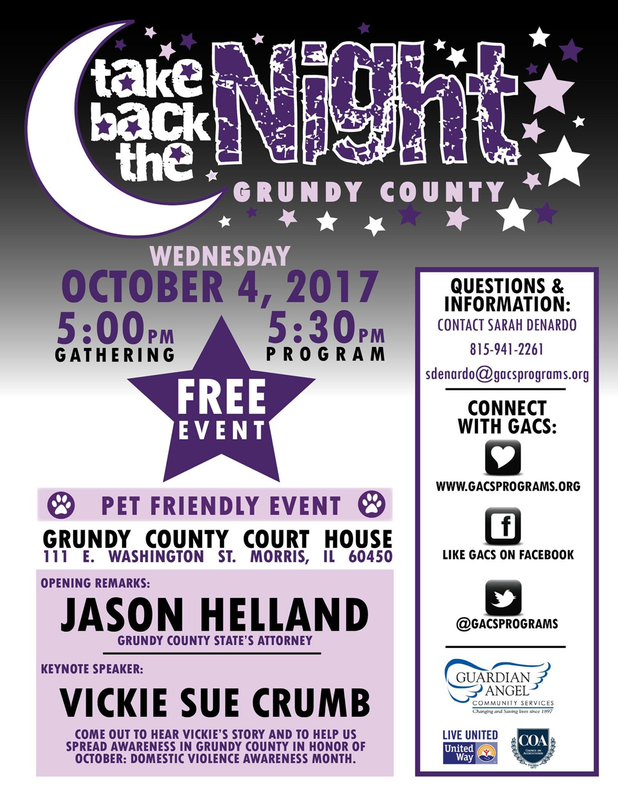 Guardian Angel Community Services' TAKE BACK THE NIGHT event is designed to spread awareness and education about domestic violence in order to STOP the practice. MWC has participated for several years in the annual event held on the Grundy County Courthouse lawn. Guardian Angel Services motto is to "...empower people to improve the quality of their lives." For more information about this organization, click on the button. The guest speaker this year's event was Judi Munson of Coal City. She chronicled the romance that started off innocently and ended with allegations of poisoning, control, and stalking. Judi is hoping by sharing her story, she can turn something that was horrible into something that creates good. Jason Helland also spoke at the event; he gave some very interesting statistics; however this particular statistic stood out as the most interesting. He stated, that “the number of American troops killed in the Middle East between 2001-2012 was nearly 6500. However during the same period, the number of American women who were murdered by domestic partner was over 11,700." Helland also said there were 69 victims of domestic violence in Grundy County in 2015, which was a decrease from years past. Sarah DeNardo, with Guardian Angel Community Services, also provided some shocking statistics. Each victim was represented by a purple balloon on the courthouse lawn. The balloons were released in support of the victims. 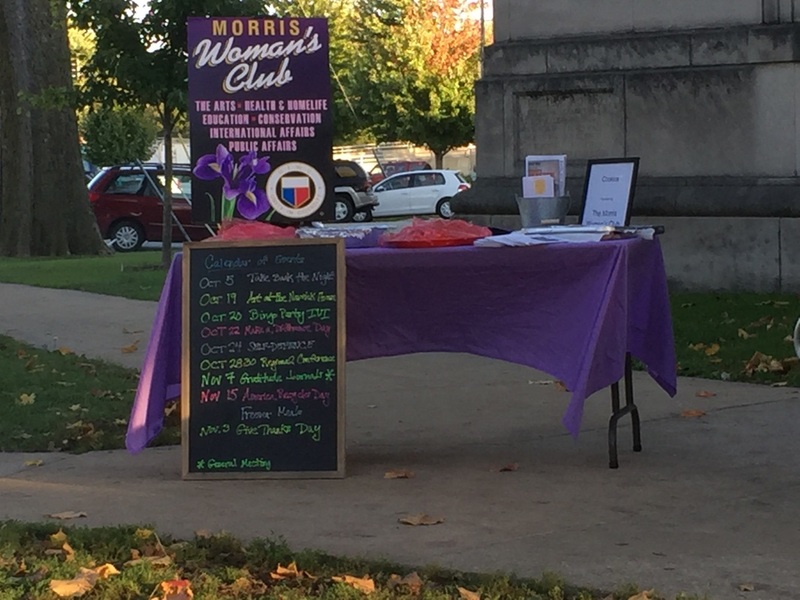 After the speakers, everyone was invited to stop by our Morris Woman’s Club table to have a cookie. We also displayed our new club poster, brochures, self- defense class flyers and Superhero Run postcards. Club members that were at the event were Donna Cockream, Nilsa Sochen, Lynn Shearing, Mary Lee Howard, Brooke Shupe and Michelle Mitchell. Cookies were donated by Valerie Hatcher, Julie Eriksen, Lynn Shearin, Donna Cockream and Michelle Mitchell.